September’s meeting saw a very welcome return by Paul Green from Green’s Leaves Nursery. 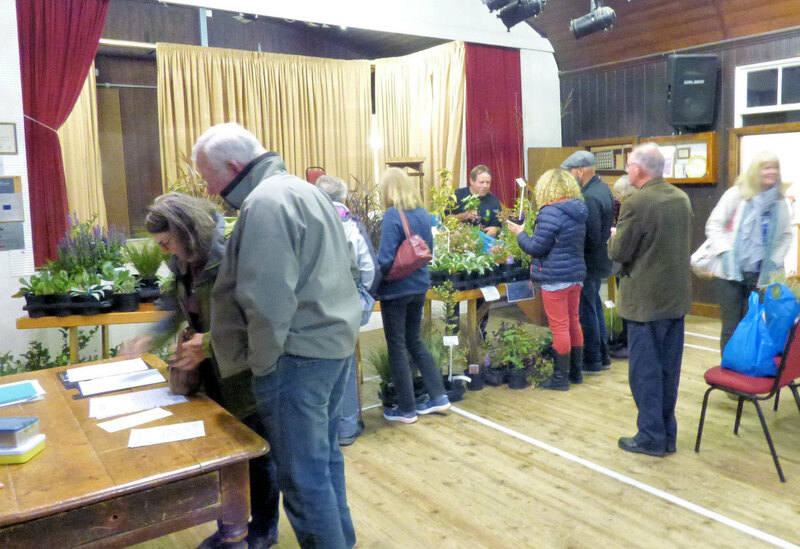 Paul once again built his talk around a fantastic and diverse selection of plants that he’d brought along, persuading us of the merits of plants which look great at this early autumn period and on into winter. An enjoyable evening all round, and great to see several new members join us. 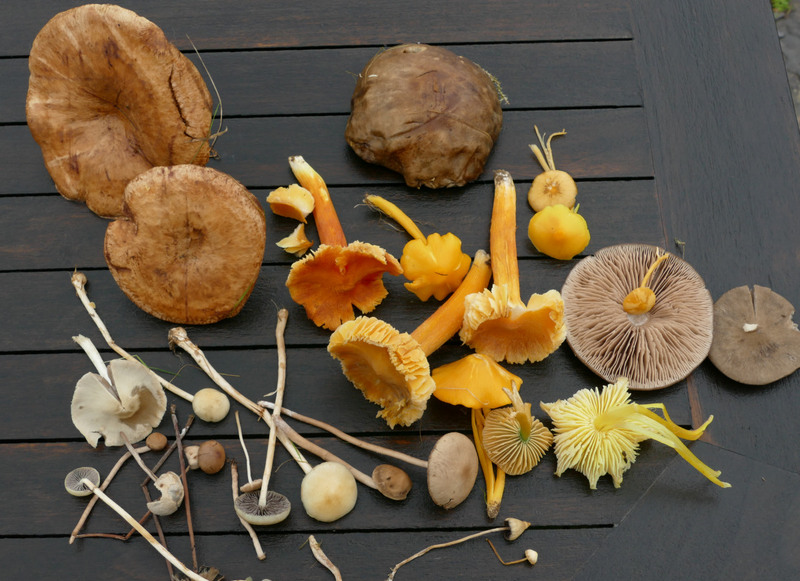 Next week’s talk on ‘Fantastic and Phenomenal Fungi’ by Bruce Langridge promises to be really interesting – Bruce is responsible for establishing the Wales Fungi Day at the National Botanic Garden of Wales, taking place this Sunday 14th October and it’s been so successful that a similar event is now held at over 80 venues nationally. Click here for more information. Advance notice for November’s meeting when our speaker will be Terry Walton on the subject “The Life of a Media Allotmenteer”. Terry promises to give us a look behind the scenes as he tells us about life on his allotment in the Rhondda and how he has given growing advice on the radio each month for over twelve years. A gardener of over 40 years’ experience, Terry has worked plots on the same site since he was a boy, learning from his father and other allotment gardeners. Many of you will be familiar with his enthusiastic style, so do come along on November 21st to meet Terry. Click here for his facebook page. Guests and visitors welcome, £3, to include refreshments. The talk begins at 7.30pm. 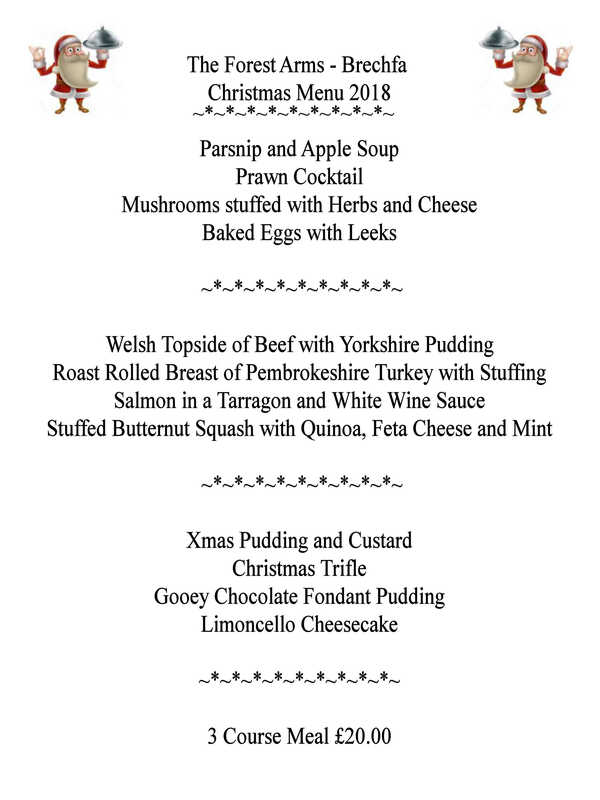 Initial bookings for the lunchtime Christmas meal at The Forest Arms, Brechfa are coming in, so don’t forget to sign up soon – there may be a limit on numbers which we could broach this year, with the increased membership. The cost is £20 per head. Please give your menu choices (including any dietary requirements/allergies) plus a 50% deposit when you book your place. The menu is shown below. The date is Wednesday December 12th, 12.30 for 1 pm. I find myself collecting seeds from quite a few plants at this time of the year. Obviously It’s a good idea to collect them on a dry day if you can manage that, but also it’s worth labelling them and quickly storing them in the fridge so that they don’t become too dry which can easily happen if they’re left on the side in a warm house. 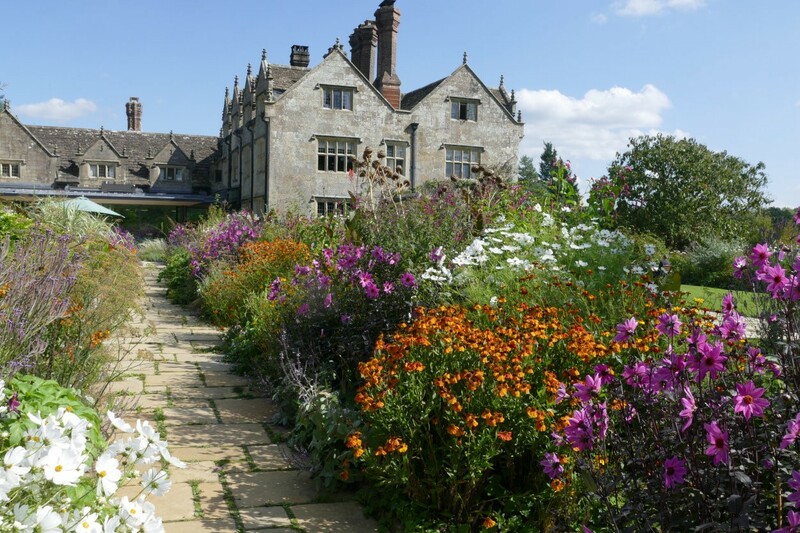 We had a few days in Sussex recently and were fortunate to visit Gravetye Manor which was the home of William Robinson at the beginning of the last century. He was perhaps the driving force in moving gardens towards a more naturalistic, less formal type of garden design. However I didn’t know until this visit that he injured himself very badly after slipping on a stile whilst walking to church, and spent the last 25 years of his life confined to a wheel chair. But apparently right up to the end of his days, he loved scattering seeds of his favourite plants around his garden and meadows and enjoying the excitement of seeing what germinated. I’ve also found that the 2 pronged weeding fork I mentioned earlier in the year as a great tool will work as a bulb planting implement for small bulbs like Crocus and fritillaries, which limits the extent to which you have to bend over. But I’ve also found it’s not a good idea to twist it too much, or you end up with a single pronged fork! 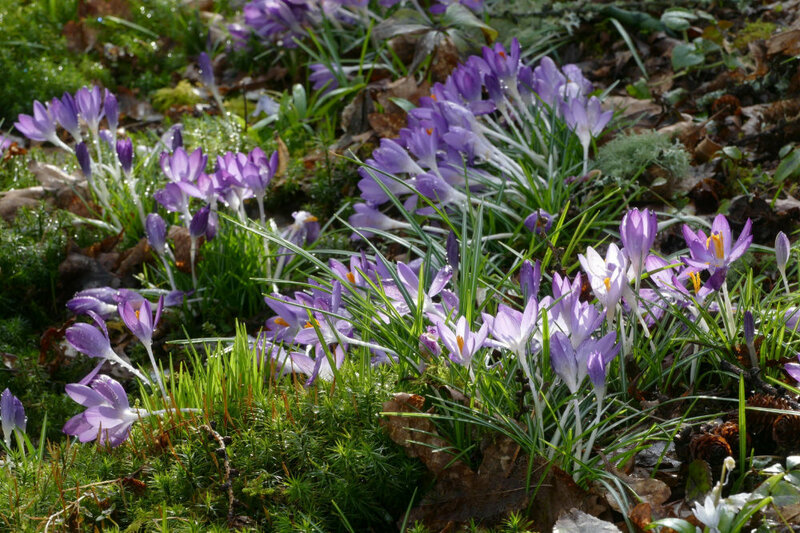 Which is still ok for bulb planting, and for using as a strut or support but not so good for weeding!